Who should I destroy today? I am such a good actress. i never trust a woman who is too scared to put her head in the tanning bed with the rest of her body. sketchy. @ayl: Yeah, it looks like they just photoshopped more tan arms on her. I don't know why they felt they had to do that. Meryl is so lovely. Are you sure the young lady in that second photo is Lindsay Lohan? I originally thought she was the girl from Grey's Anatomy (blargh). Anyway, don't listen to me. I wandered over here after enjoying your snarky comments on both Regretsy and Lamebook (or maybe it was STFU Marrieds, I forget), and holy hell this blog is excellent. @Stephanie: Welcome! Thanks so much. I don't know about that picture. She's awfully smiley to be Lindsey Lohan. The pic I had chosen originally also included Angelina Jolie, but I felt bad because AJ is such a lovely person to adopt all those children. 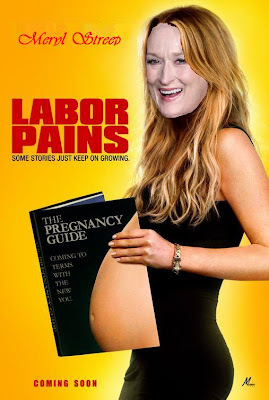 And then I felt bad letting Meryl just off her like that. So I went with my second favorite. If I find a better pic of them together, I'll replace it. This is all very excellent. @WB: I was up all hours working on it. Okay, no, it only took like an hour or something. @JPC: They are hard to get on such short notice. Maybe in the next installment. 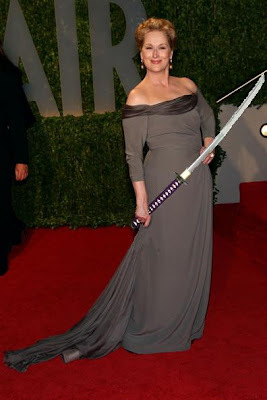 Re: the final picture, is it just me or is Meryl's next target Cathie Jung? @t.c: Seriously. What is up with her body?